I saw a million trailers before Man of Steel (including one for Gravity a.k.a. Sandy Bullock and George Clooney lost in space), and one of the more interesting ones was Neill Blomkamp’s Elysium. In interviews, the Canadian director describes his latest film, starring Jodie Foster and Matt Damon as two people on opposite spectrums of the class system, as “three times bigger” than his previous film, District 9. Blomkamp also promises that he has not lost his edge or storytelling ability with the bigger budget. 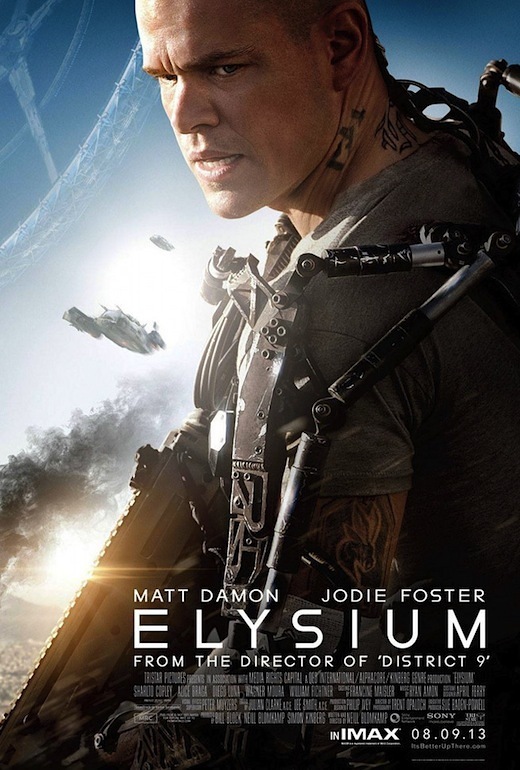 Diagnosed with terminal cancer, 36-year-old Max DeCosta (Matt Damon), is in desperate need to get to Elysium to be cured. 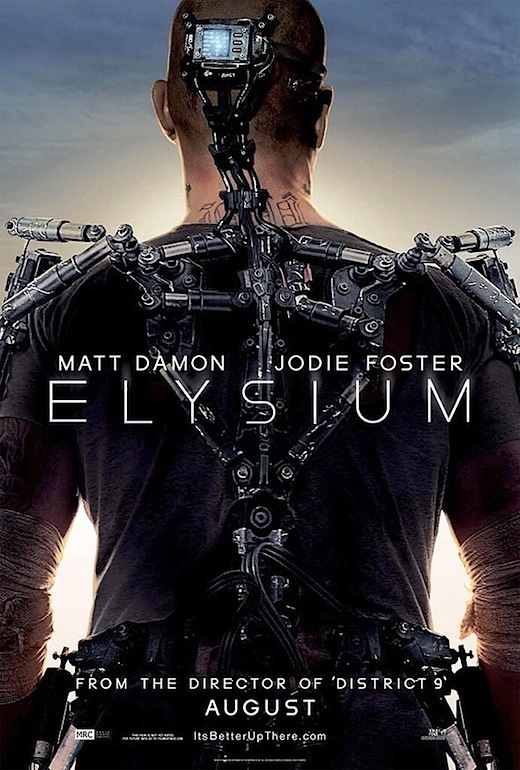 In order to do so, Max straps into a powerful exoskeleton and, with a few companions, reluctantly takes on a dangerous mission which pits him against Elysium’s Secretary Delacourt (Jodie Foster) and her forces. Elysium, also starring Diego Luna, Sharlto Copley, Alice Braga and William Fichtner, hits theaters Aug. 9.